John van Wyhe, Fellow, National University of Singapore; Researcher, History & philosophy of science, Cambridge University. William Buckland is remembered as the man who, in 1824, identified the megalosaur on the basis of a jawbone and other fossil remains found in Stonesfield, near Oxford. Buchland's identification, which predated by nearly two decades Richard Owen's coinage of the word dinosaur in 1842, was the first published description of a dinosaur. Partly in response to the controversial works of Cuvier, Buckland wrote Reliquiae Diluvianae (1823) in which he argued that the evidence of geology alone demonstrated that a great flood had covered the entire globe. This move helped to make geology look more respectable in a religiously conservative England and perhaps to advance Buckland's own career at Oxford by making geology appear to be a respectable companion to the classics. Buckland was also one of the authors chosen to write a Bridgewater treatise. Buckland, W. Reliquiae Diluvianae; or, Observations on the Organic Remains Contained in Caves, Fissures, and Diluvial Gravel, and on other Geological Phenomena, Attesting the Action of an Universal Deluge (1823). Buckland, W. "Notice on the Megalosaurus or great Fossil Lizard of Stonesfield." Transactions of the Geological Society of London, series 2, vol. 1: 390-396 (1824). Rudwick, M. The Great Devonian Controversy: The Shaping of Scientific Knowledge among Gentlemanly Specialists. Chicago: University of Chicago Press, 1985. Rudwick, M. The Meaning of Fossils: Episodes in the History of Paleontology. Chicago: University of Chicago Press, 1972. Rupke, N. A. 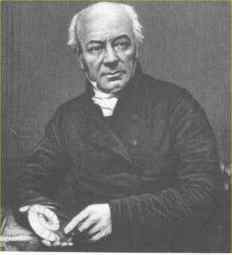 The Great Chain of History: William Buckland and the English School of Geology 1814-1849. Oxford: Oxford University Press, 1983.